Human Factors training provides the cognitive and personal resource skills to complement specific technical training within a team-based environment, leading to a safer and more efficient task performance for all individuals who work within a dynamic, demanding, and risk-based oil and gas environment, which is underpinned by a need for an excellent safety culture. Human errors account for nearly 75% of all incidents and accidents within the oil and gas industry worldwide. Our operational environments are dynamic and pressure-driven industries and therefore underpinned by the need for a relentless focus on safety and effective risk management. Human Factors training provides the cognitive and personal resource skills to compliment specific technical training within a team-based environment, leading to a safer, reduced risk, and more efficient task performance. Well site operators, managers and drillers, field engineers, and offshore operations team leaders will greatly benefit from attending. Levels inclusive of supervisor or skilled technician to manager and superintendent. Any individual who is in any way responsible for the safe operation of technical equipment by team members and employees should attend. A former Royal Air Force Wing Commander and fast jet aviator, Evans has over 20 years of experience leading a wide range of complex and demanding operations in hostile conditions within an international context. He has deployed extensively to the middle-east, the Balkans, the United States, and continental Europe in a variety of air and ground roles, completing appointments with the British Army, the United Nations, and the United States Air Force. He was also a member of the Tornado GR1 display for the RAF in 1997, participating in over 90 air shows across the UK and Europe. He was a qualified instructor on several aircraft types and was responsible for the training and standardisation of leadership at the RAF Officer Training College at Cranwell. Evans is also a Civil Aviation Authority qualified Crew Resource Management Trainer with extensive experience in this area across several industries. A keen sportsman, Evans also represented the RAF and Great Britain at Bobsleigh before common sense combined with a few injuries led to him hanging up his ice spikes. During nine years of competition, he competed for GB in international races as a 4 Man and 2 Man driver on over 30 occasions against the major Alpine nations. Towards the end of his involvement in the sport, he coached the RAF team and assisted with the development of the national squad, helping to achieve a rigorous culture of individual and collective accountability consistent with his flying background into the squad. Within industry, Evans has held senior positions in a multinational telecoms company. He was responsible for the operational delivery of 1500 field engineers on a daily basis, as well as the education and training of several hundred apprentices. He implemented the honesty, rigour, and accountability based upon the 'Just Culture' of aviation across his 120 strong management team, which led to a step change in safety, efficiency, and employee engagement throughout his workforce. Evans has led the design and implementation of the Well Operations Crew Resource Management & Human Factors programme for Mission Performance. He has worked internationally with Schlumberger to introduce a series of training courses for drillers, engineers, and well site leaders, delivering multiple courses within Europe and the middle east. 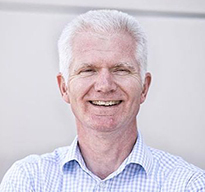 Mentoring and coaching people to achieve their full potential as leaders and team members in a dynamic environment is Evans' principal focus. He believes that effective leadership begins with the behaviours, standards, and values that you demonstrate to your immediate and wider team every day. These qualities, added to a clear purpose, consistent mentoring, and a determination to transform complexity into simplicity, form the basis for a high-performance environment.